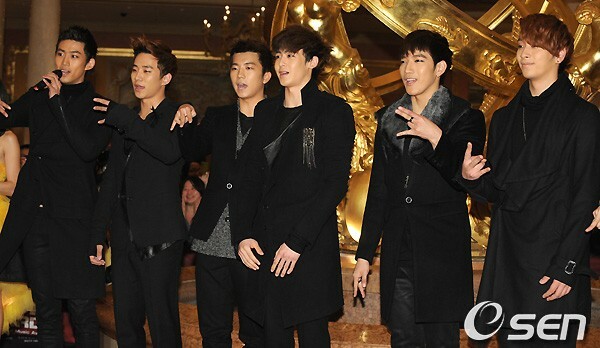 Earlier, we revealed photos from the 12th Korea-China Song Festival held on December 2nd, and now the broadcast of the special concert has finally been aired on TV! The 12th Korea-China Song Festival was held at the KBS Hall this year and seeks to promote friendship between the two nations, whereby top artists from Korea and China perform under one roof. The organizers invited SNSD, 2NE1, KARA, SHINee, CNBLUE, U-Kiss, Alex, Chae Yeon, Lena Park, Supreme Team, and Shin Seung Hoon along with Chinese artists like Sun Nam, Hit-5, and more. Due to time constraints, not everything from the festival was shown on TV. 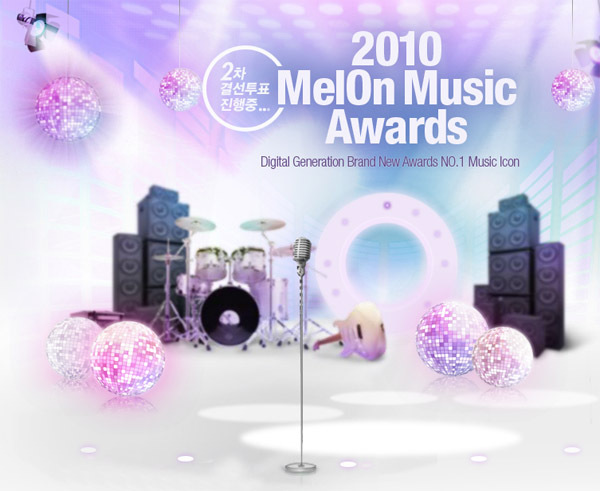 As the ceremony date for the “2010 Melon Music Awards” draws near, music fans will be delighted to hear that artists from all three companies – SME, YGE and JYPE – will be standing on one stage. Many collaboration stages are under preparation, along with a cute surprise by ceremony host Song Joong Ki. 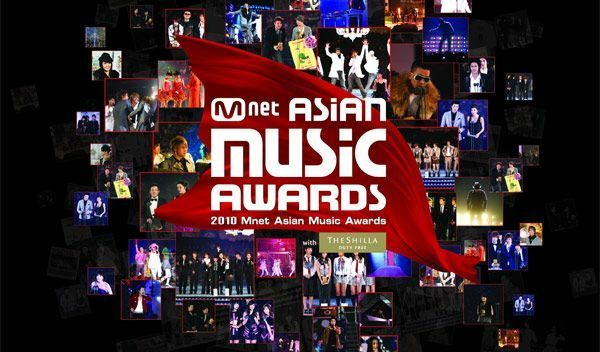 SNSD, 2AM, 2PM, 2NE1, T-ara, CNBLUE, IU, Lee Seung Ki, DJ DOC and 4Men have been chosen as the top 10 nominees for the “2010 Artist Award”, the winner of which will be revealed during the ceremony. 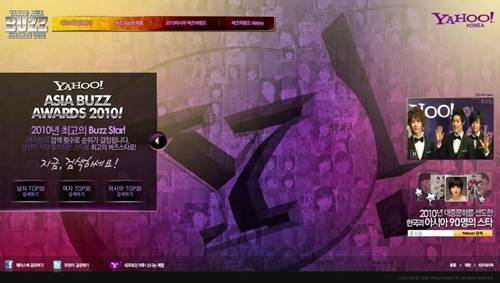 A controversy has recently been surrounding the ‘2010 Yahoo Asia Buzz Awards’, as many fans are doubting the legitimacy of its online voting system. Between November 8th and the 30th, Yahoo has been conducting an online poll for three categories:‘Korean Male Buzz Star’, ‘Korean Female Buzz Star’ and ‘Asia’s Buzz Star‘. The problem that had caught the attention of sharp fans is that the poll results for some nominees had either taken a sharp rise or drop in a spontaneous fashion. 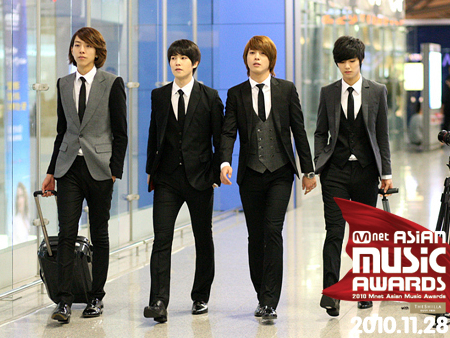 For instance, in the ‘Male Buzz Star’ category, Jang Geun Suk’s poll results saw sharp rises and falls at a continuous rate, while a considerable number of votes for Kim Hyun Joong dropped unexepectedly. Consequently, many netizens are suspecting the poll results to have a substantial error in voting calculations. Meanwhile, according to the online poll results on the site, Jang Geun Suk ranked 1st place for the ‘Male Buzz Star’ category for this year’s ‘Buzz Awards’. Sandara Park’s unique airport fashion sense has recently become a hot topic amongst fans. 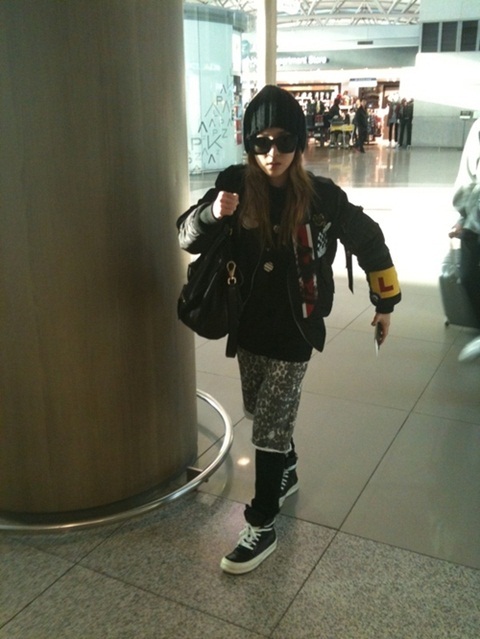 On November 26th, Dara wrote on her me2day, “2NE1 on our way to Macau!!! We’ll come back safely~”, and attached a picture of herself at the airport. In the photo, Dara can be seen wearing a black beanie and black shades, which complemented the unique leopard-print pants. Her frozen movement in the picture got fans giggling once more, as if she was caught in the midst of a robotic dance. Recently, 2NE1’s Minzy showed off her photography skills to her me2DAY friends. 2NE1 will be ending their promotions on the November 20th broadcast of MBC’s ’Music Core‘. 2NE1 made their comeback on September 12th via ‘Inkigayo‘, through which they kicked off their promotional activities for ‘To Anyone’. Over the past 2 months, the ladies have broken many records and nabbed numerous awards for their songs, “Go Away“, “Clap Your Hands“, and “Can’t Nobody“. Although their last performance will be on ‘Music Core’, 2NE1 will still perform these beloved songs at the ‘2010 MAMA‘, held on November 28th at the Venetian Resort in Macau. The girls will also participate in the ‘2010 YG Family Concert‘ for December 4th and 5th. We’re sad to see these promotions end, but at the same time, we can’t wait to see what they’ve got up their sleeves for us next! 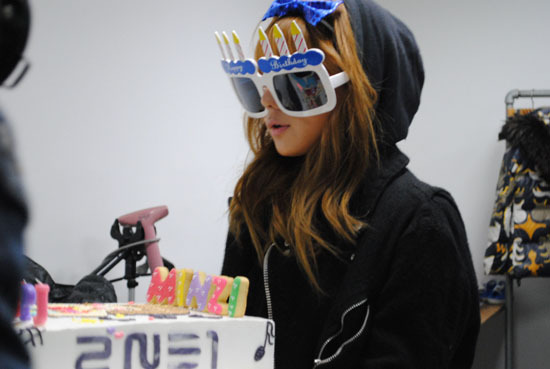 The November 16th airing of Mnet’s “2NE1 TV“, the final episode revealed what went on behind-the-scenes for Dara’s surprise birthday party on the 12th. In order to pull off the party and the hidden filming, CL, Minzy, and Bom had a secret rendezvous in the dressing room before Dara came in to change. Immediately after changing, Dara put a chocolate cookie in her mouth and posed as a boxer for the camera. Although she gave a menacing scowl, Dara still looked very cute with her distinctive facial expressions. One netizen complimented, “She can pull off ten thousand different facial expressions”, expressing their endearment of Dara’s acting.